12 Nov 2018 --- UK-based drinks giant Diageo is selling a portfolio of 19 brands to privately owned US firm Sazerac for US$550 million. Diageo believes the sale will allow the business to have a “greater focus” on its premium brands in the US, including Johnnie Walker. Diageo, also known for Smirnoff vodka and Guinness stout, has said it would return the net proceeds of around US$438 million to shareholders through a share repurchase. “The disposal of these brands enables us to have an even greater focus on the faster-growing premium and above brands in the US spirits portfolio,” the company said in a statement. The North American region is the biggest market for premium drinks in the world and accounts for a third of the British company's sales and nearly half its operating profit. Diageo has been expanding the reach and improving the marketing of premium, global brands. 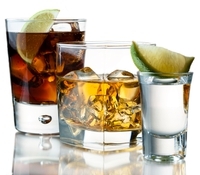 US spirit sales hit a record US$26.2 billion in 2017, fueled by high-end brown liquor and a big thirst for tequila and vodka, an industry group, the Distilled Spirits Council, said in February. Diageo, part of the UK's blue-chip index, said it expects the sale to close in early 2019. Sazerac, which traces its roots to the early 19th century, is an independent, family-owned company in the US, home to brands such as Buffalo Trace and Pappy Van Winkle bourbon. Sazerac is one of the US's oldest family-owned distillers, with operations in 10 states, as well as international activities in the UK, Ireland, France, India, Australia and Canada.